1984 Jaguar XJ6 - This is a story I've heard before... Guy buys a Jaguar XJ6. 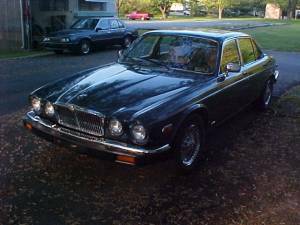 Spends big bucks restoring / repairing the Jaguar XJ6. Finds out that a perfect Jaguar XJ6 isn't worth a lot of money and a less than perfect one is worth much, much less. Sells the Jaguar XJ6 at a substantial loss. That's what happened to this guy. If the ad is true, the seller spent over $13,000.00 restoring this car. He says the wheels alone are worth $1500.00 He's now trying to sell it for $2000.00. Me? I'd sell the wheels for $1000.00, put another $1500.00 into it to make it right, and, for $2500.00, I'd have a pretty nice daily driver. Located in Harrisburg, PA, click here to see the Craigslist ad. 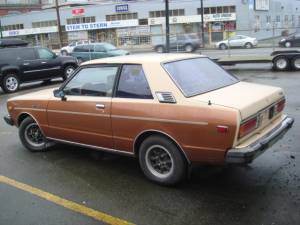 1981 Datsun 510 - This was known as the Stanza in most of the world. In North America, Datsun / Nissan decided to call it the 510, to capitalize on the original 510, which was an impressive car with a great reputation. The original 510 was pretty close to being a true sports sedan. It could easily hang with the BMW 1600. This version of the 510 was a low-priced family car. It was meant to compete with the Honda Accord and the Toyota Camry, which it did. There are very few of these left in North America. They were cars that were used up and thrown away. Located in Vancouver, BC, Canada, click here to see the Craigslist ad. A big thanks to Milo for sending me the link to this car. I agree...is there a specific reason he HAS to sell it? Perhaps he'd make more $$ pawning off all those parts he just put into it, if he really wants his money back? It's a nice little restored car, though. looks like a mini longchamp from the side.